MOBIO is assisting “INNOVATION and CHALLENGE” by providing various services to SMEs. 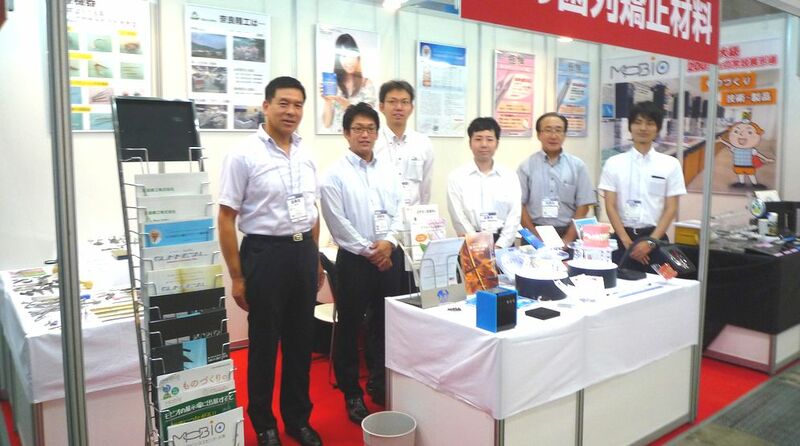 As one of marketing assistance, in June 2014, MOBIO set up the joint booth at “ Medical Device Development & Manufacturing Expo (MEDIX)” in Tokyo and the three exhibitors in the MOBIO technology hall participated in the joint booth. 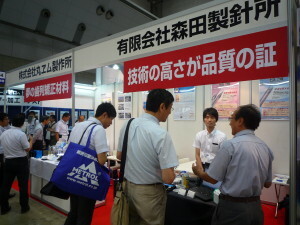 Since MEDIX attracted a great number of medical device manufacturers of syringes, thermometers, artificial organs, catheters, MRI systems, patient monitors, etc., there were lots of findings for three exhibitors on product needs, possible product application and other information collected directly from medical specialists. After the trade show MOBIO interviewed them about trade show. Their purpose was different and result was different. However all participants noticed a lot of findings. MOBIO sincerely hopes that interview articles may be of some help to your company management and operation. Practically learned feasibility of GUMMETAL in the medical market. Read a report. 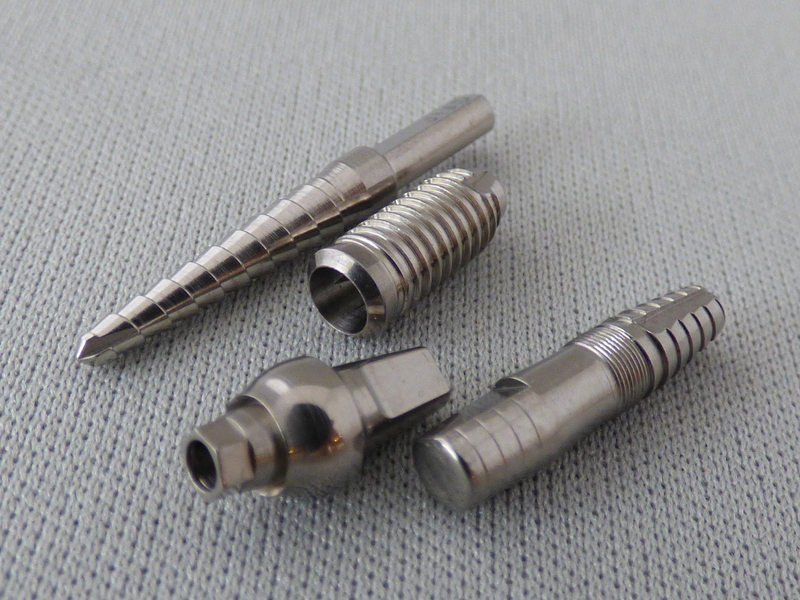 Swaging technology is the key to penetrate into the medical market. Read a report. Participating in the trade show creates valuable opportunities to step forward. Read a report. Visit MOBIO to search for other medical opportunities! 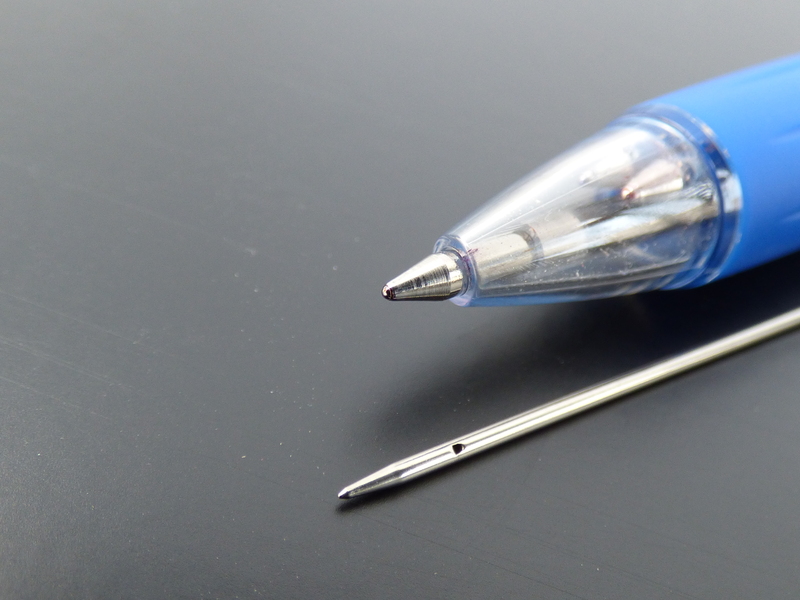 Read in detail about MORITA SEISHINSHO CO.
Morita is known as one of the leading companies to process needles and fine stainless steel pipes. They are specialized in swaging process that reduces operation flow comparing to machining and employs multi-product low-volume manufacturing at shorter production lead time. At Morita they have operated swaging for more than 90 years and achieved their technology application to ultra fine pipes (up to 0.15 mm diameter). In the medical market those fine needles and pipes are installed in a joint between a dripper and a tube or used as a protection pipe of temperature sensor. *Their catch phrase in Japanese “Quality is proved by Technical Capabilities” was selected through opportunity announcement system to employees. 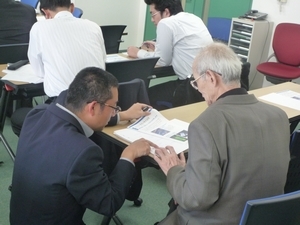 With 50 years marketing experience, Terasaka proactively introduced Morita’s technology and resulted in setting up next business meeting with two medical equipment manufacturers and three sensor using companies. After the fair he has brought requested samples to them and is waiting for their evaluation. Terasaka said, “It meant a lot to us as a result of the first medical fair,” and he is positive to participate in the next trade. Nakai also mentioned, ” We have received a lot of messages from medical persons. 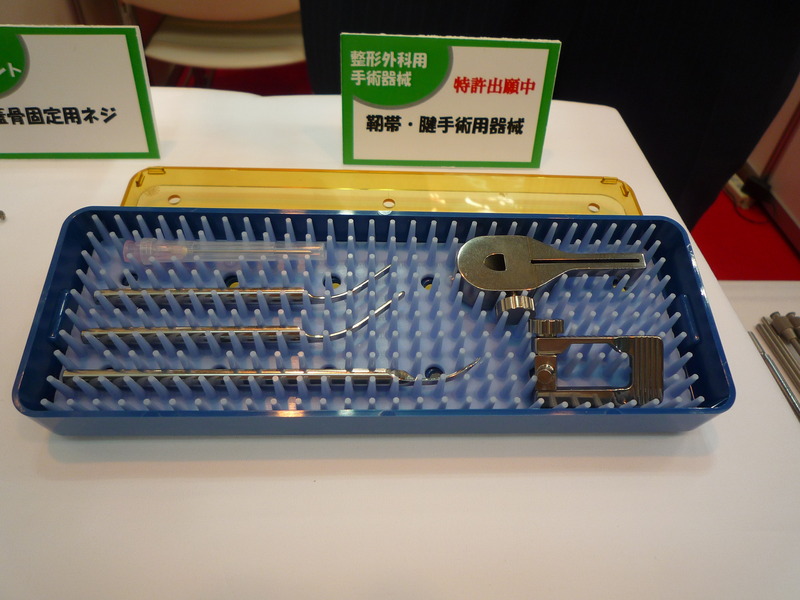 One dentist requested us to develop the needle with more cleaning holes.” Morita has collected market needs to further develop new products. Because of having actual request from customers, Terasaka felt confident to enter medical market. “The best result for us was to have exchanged business cards with 400 companies”, Terasaka said. They have contacted with medical industry persons and industry users of temperature sensor pipes at an automobile industry and users of ion discharge needles at an electronics industry. It may assist their involvement in medical business. Through MEDIX, they have received a request of prototype production and found a necessity of new product. Terasaka said, “We do not have specific product development group as a SME, however we are quite confident to develop new products step by step along with daily manufacturing job. On top of present core material, stainless steel, they plan to accumulate processing technology of Titanium and other hard-to-process materials. Moreover they are planning to invest actively to build a clean room in a few years to change basic business conditions to enter medical market. 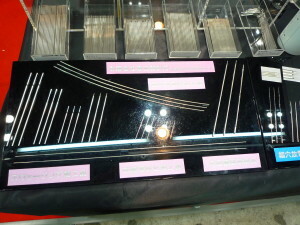 Morita was established to manufacture sewing needles in 1914 and succeeded in restructuring corporate business scheme. Now their challenge to enter medical market will be a key to another business success in future. 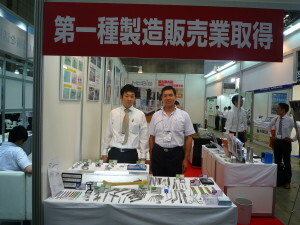 Maruemu is the leader in the Japanese stainless steel fastener market and in engineering technology. Processing hard-to-cut materials they have developed new fasteners made of Magnesium Alloy, Titanium Alloy, Metallic Glass and Engineering Plastics on and on. Read in detail about Maruemu Works Co., Ltd.
One of the business created by their innovative attitude is a medical product. At MEDIX, a GUMMETAL orthodontic wire has been displayed, that has no hazardous elements to human body, high elasticity and high flexibility and is made of Ti-Nb based beta titanium alloy. Because its shape is adjustable at each treatment stage when needed, it does not require wire replacement or frequent reshaping, and results in drastic reduction of treatment period. GUMMETAL’s elasticity holds weak force continuously at row of teeth, a patient is free from felling hard pains. Becasue its material does not contain any nickel alloy, its does not cause a metal allergy at all. That is why GUMMETAL attracts dentist’s attention as a totally new orthodontic wire. 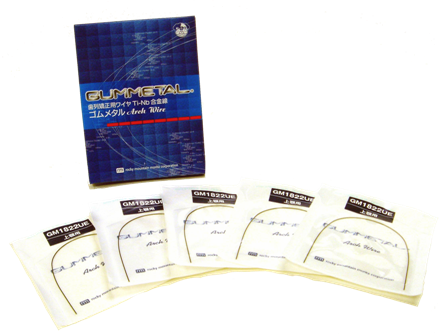 Yamamoto in charge of new medical marketing explained his findings, “Our new product ‘GUMMETAL’ brand wire was known in the dental market. 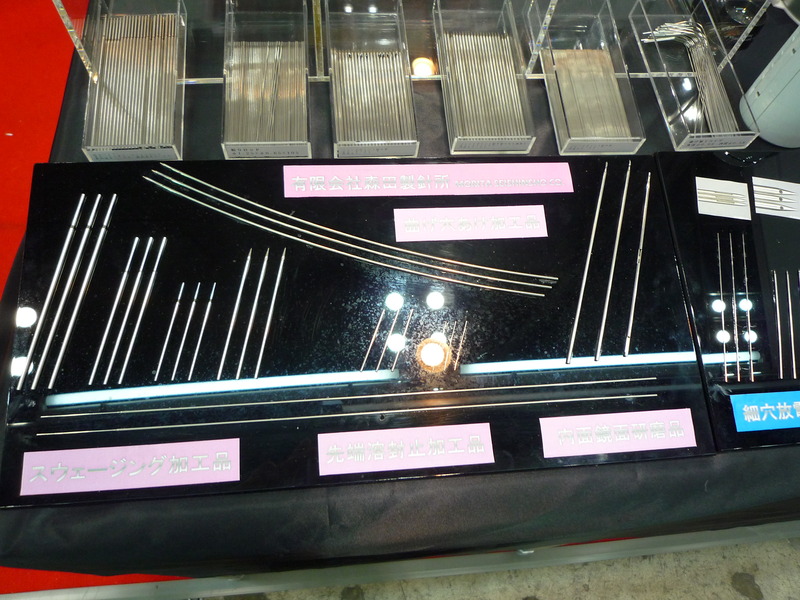 And specialists showed interest in the wire saying ‘Oh, this is the real product’ in the booth.” He continued, “I have received questions from visitors, ‘Are you manufacturing fasteners? Why have you entered into the medical market?’ When I explained that our wire drawing technology made GUMMETAL wire processing possible, they understood easily.” One of pharmaceutical companies was interested in this only one technology. 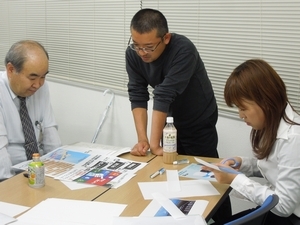 So Yamamoto is studying seriously with them to develop new product. 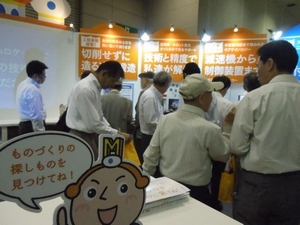 Receiving positive market response, Maruemu considers to join other medical fairs. In order to attract more visitors and open other market, they are planning to develop another business category than GUMMETAL. At their new laboratory to develop medical related products (called M+H technology center) specialists are aggressively studying another leading products following to GUMMETAL. Nara Seiko has experience in manufacturing precision optical components more than 45 years. 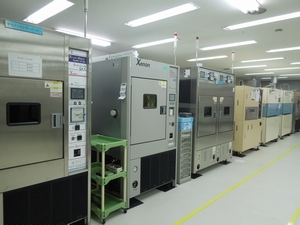 Their micron level processing technology and new facility opening has been used to respond to optical customers’ various demand. Read in detail about Nara Seiko Inc.
For SME it is essential to take a positive attitude to secure continuous business by cultivating new demand. 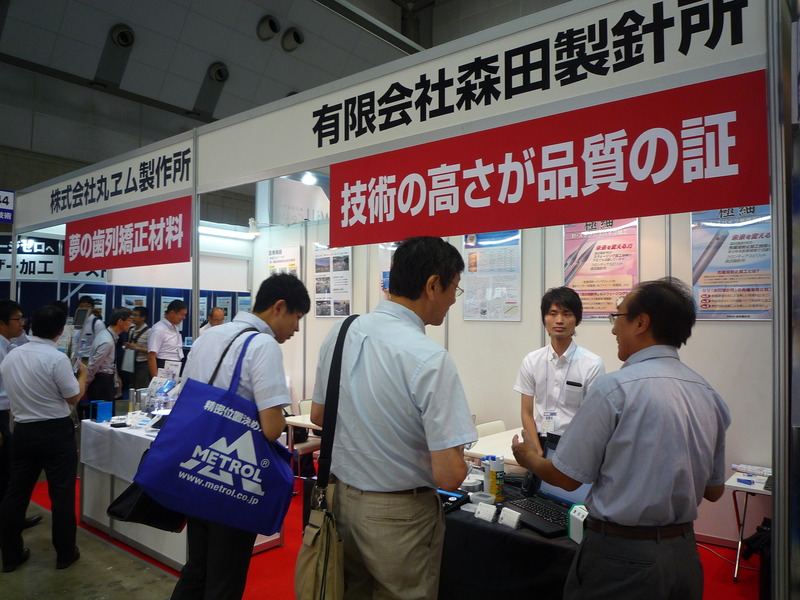 As expanded business network through WEB site and trade shows, Nara has acquired business opportunities by encountering to new people. In order to meet companies of different class of trade or different industries, it was their proactive business manner to participate in many trade fairs and promoted their technologies. 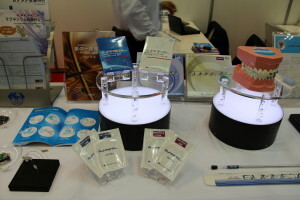 At MEDIX this time, Nara exhibited dental implants, new surgical instrument (for a ligament and a tendon) and other medical equipment. “At each booth I have noticed there were lots of business discussion and they were very impressive. 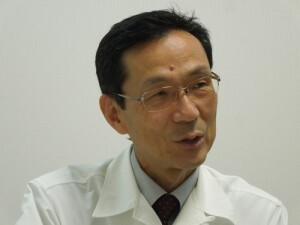 And Nara has met many medical and administrative people to have obtained information a lot,” CEO Nakagawa said. Nakagawa believes to trace business encounter effectively. Considering longer period from the initial meeting at the trade show to make a final contract, “I dot not simply exchange business cards and wait their calls, but I firmly believe it is imperative to take an active approach by myself to trade visitors,” Nakagawa said. Through his speedy decision and action at MEDIX, he has found new medical customers and is under business negotiation. Moreover he is discussing possible collaboration with new suppliers. Based on such a useful result, Nara has decided to participate in the next trade fair to be held next year. A steady step forward at each project and continuous development of new business is brought to Nara. Nara’s driving force might be created by flexibility to tackle something new without any preset rules and immediate decision as the corporation. 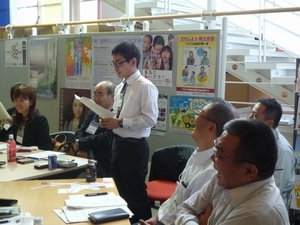 ” By attending the MOBIO Cafe Meeting, I was entitled to obtain points to my MOBIO membership card each time. At the end of 2013 it became 36 points. 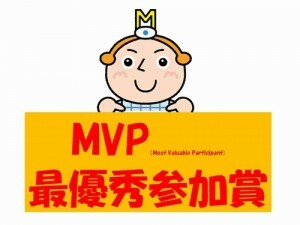 I am so glad to be selected as the MVP,” Ueda said with a smile. As a team member of KANSAI LABORATORY CO., LTD. , who provides consistent evaluation of material quality and analysis of volatile organic compounds, Ueda is responsible to develop a new account. 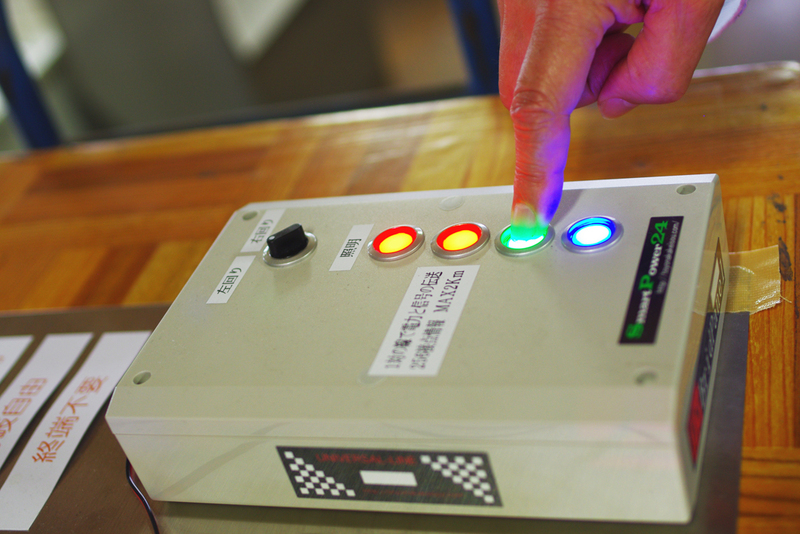 By participating the Cafe Meeting, he has been called by participants “You are from light resistance testing company, aren’t you?”. ”In the last one year I was asked by more than ten companies. And actually I could have started business with some of them. My network has grown and brought good result,” Ueda said. MOBIO is assisting “INNOVATION and CHALLENGE” by providing various services to SMEs. One of the market development assistance is the special seminar “Let’s participate in the Trade Shows!”, which has been conducted for the past two years. 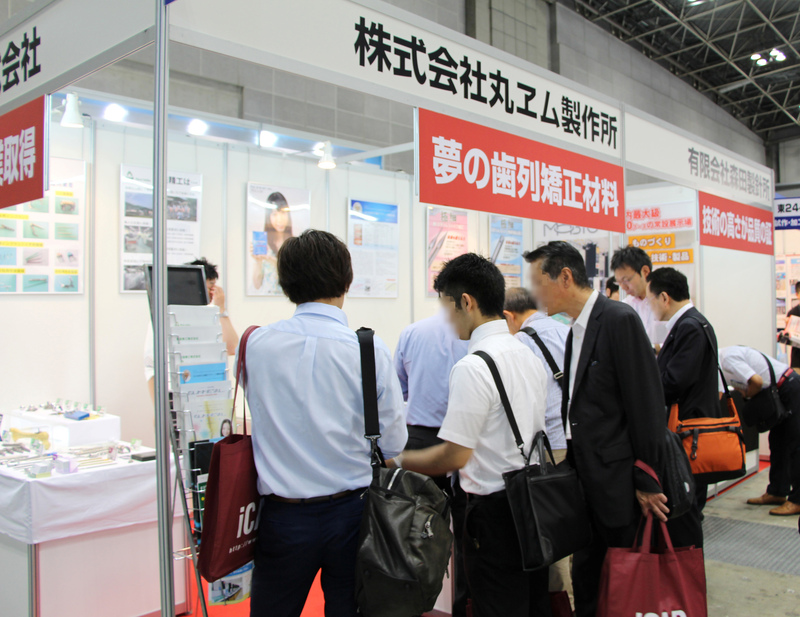 In May 2013, MOBIO offered the permanent hall exhibitors to physically participate in the trade show in addition to class room session. And the ten companies have participated in the MOBIO joint booth at “Small & Medium Enterprise Fair 2013 in Kansai” with different intentions. The window person varies from a young staff to a senior manager. 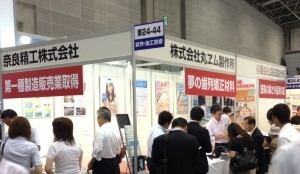 After the trade show MOBIO interviewed all companies about class room session and trade show. Their purpose was different and result was different. However all participants noticed a lot of findings. MOBIO sincerely hopes that interview articles may be of some help to your company management and operation. Hosted a seminar “Let’s participate in the Trade Shows!”, six times for two years. 1) TOYONAKA KEISOU CO. LTD.
3) DAIICHI KOGYO CO., LTD.
5) SAWAMURA DENZAI CO., LTD.
7) FUKUCHI METAL CO., LTD.
8) DAIKO SEIKI CO., LTD.
9) MITSUMOTO RASENKAN KOGYO CO., LTD.
TOYONAKA KEISOU CO. LTD. is a company specializing in development and manufacture of wire-saving devices and systems. 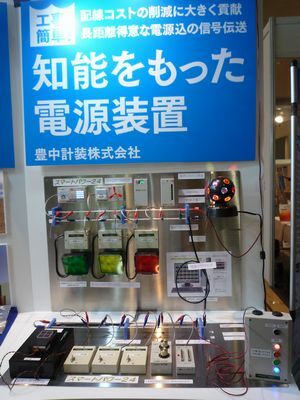 At SME Fair in Kaisai 2013 they specially featured the patented new product “Smart Power 24″, integrated wire-saving multiplex transmission (Universal Line) with power supply function. With this unique scheme, two wires can, in addition to power supply, carry diverse information about contact control output at 256 locations. 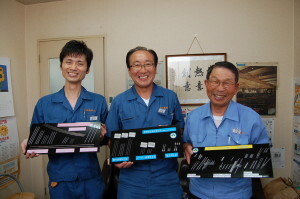 Its technology is widely used by major Japan’s railway companies. 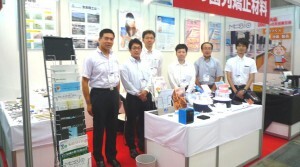 10 companies participated in the MOBIO booth. 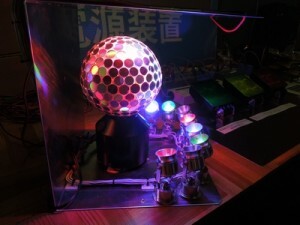 The show visitors were attracted by the shining mirror ball on top of the pinnacle of MOBIO “Castle” booth. Its ball was designed by one of the participants, TOYONAKA KEISOU CO. LTD. In order to inform their technology- wire-saving multiplex transmission, effectively, they have materialized the special design. “I am proud of our technology, however at the same time I felt it very difficult to explain to the public in a way that they easily understand. 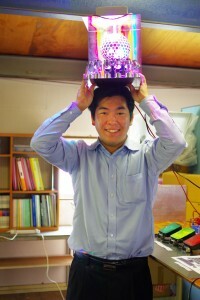 Participation to this trade show guided me to the new way of product presentation.” says Mori. 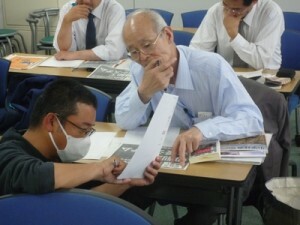 The young freshman was assigned all setups for the show and seriously studied at the MOBIO preparation seminar. Actually he was always the first to submit his homework. 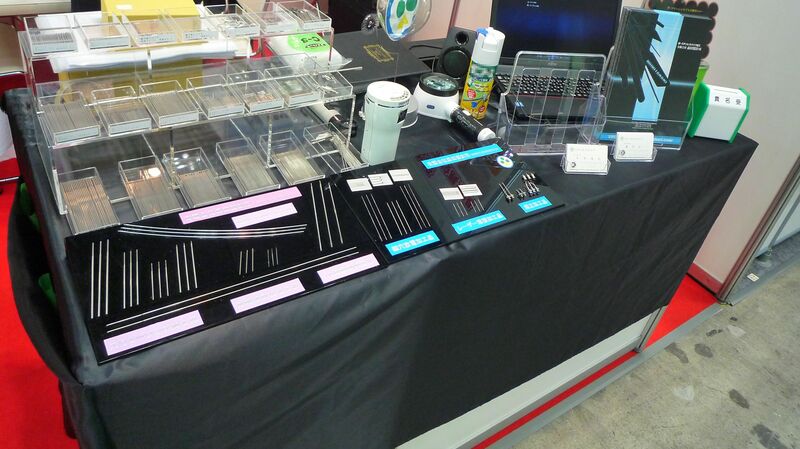 “At the MOBIO seminar I was asked explanations of our products by participating members and the tutor. So I started to consider difficulties to understand by the others. 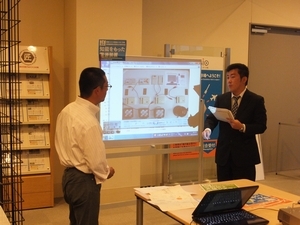 It was very valuable for me to study effective product display throughout discussion with other members” says Mori. “I have designed to install the disco ball on top of the pinnacle of the MOBIO castle as a demonstration of data transmission from a distance. This was created only because I could attend the MOBIO seminar. ” says Mori. 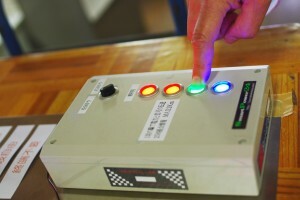 At TOYONAKA’s booth they placed the control device with four color switches. By depressing the designated color switch, the identical light will turn on light at the disco ball. Since the ball rotates, it looks glittering. As a marketing staff Mori is paying attention to information flow. For this trade show, he mailed invitation to customers in advance and sent thank-you mail after the show. With an attractive display Mori and his group collected almost 100 business cards from visitors and they have already started business negotiation with companies. “I am proud of our technology. For example, these days the highest stand-alone TV tower, Tokyo Sky Tree is widely known. During its construction TOYONAKA’s technology was used in the elevator to assist communication, ” says Mori. Their technology will be used often although we do not know its application. Interviewed on June 25, 2013. 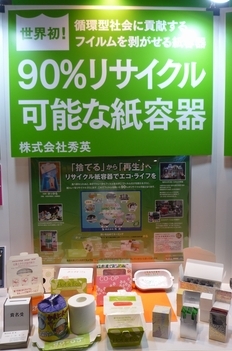 The one of the most eye catching phrases at SME show was created by SHUEI CO., LTD. At their booth they have featured the paper container designed for sustainable society, called “Hokkaru”, exclusively developed by SHUEI as “the world first removable layer container” for take-out foods. It consists of an inner film layer and an outer paper container. After eating an inner layer is easily removed for classified disposal. Because its layer protect an outer container from oil perfectly, an outer paper does not require cleaning process and polyethylene terephthalate does not cause any ｄioxins at all at the time of incineration. 90 percent and more of its materials are to be used as a recycled paper. Its film layer is made of “SHUEI is known as a Hokkaru manufacturer. At SME show we have designed our booth to let Hokkaru know as many visitors as possible.” says Ueda. 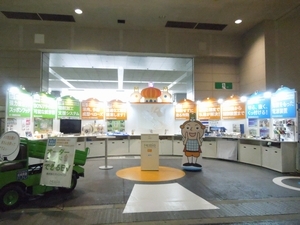 Ueda says “We had attended speciality show relating to environment, however it was the first time for us to participate in the general trade show like SME Fair. So it was very informative for me”. To the MOBIO seminar preparing to the trade show, he has participated in all classes and considered contents of the display panel seriously. “MOBIO seminar provided me with totally new approach and removed all of previous views. Because “Hokkaru” is the strongly attached product for Shuei, I used to phrase as many as possible in a panel. However it was much easier to understand for the show visitors by phrasing simply. I really learned how important it is to convey easy-to-understand message. And I appreciate MOBIO a lot who provided me with such an opportunity” says Ueda. 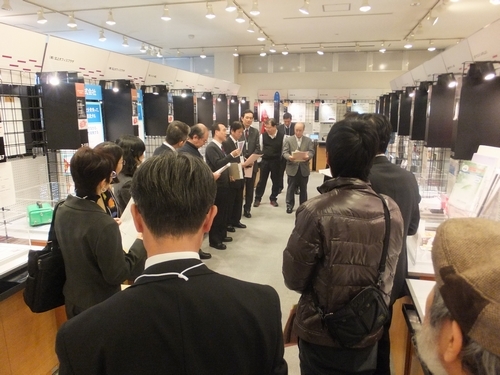 During the trade show he himself participated all days and promoted Hokkaru by using the eye-catching panel. “There are two meanings in the trade show participation. The one is to inform produtc and the company to search for new business match making and improve marketing skills. Another is to inform the company management is healthy. Specially the participation to an administrative organization booth such as MOBIO might strengthen credibility fo the company. Credibility is the most important product by the company” says Ueda. “Comparing to general containers, it costs more. However once it was proved to have saved disposal cost by half. So it might not be an expensive container.” says Ueda. It might be an economical container! Time to think differently. His views have been accepted by university coops, food restaurants and event organizers nationwide. And it is his policy to place a recycle bin whenever Hokkaru is used. Ueda goes further to ship collected containers to recyclers by themselves. He wishes to educate people through the product and to be assisted by them throughout manufacturing. Its message has been created by the experienced business person. The color coded name plate type key chains that are widely used at hotels, locker rooms where keys are used in Japan. They are Markey branded key chains produced by DAIICHI KOGYO CO., LTD.
Nogami was asked to participate the SME show by MOBIO when he visited the hall to replace display products. He says “I was called by MOBIO to join the show. Due to my business schedule I could attend preparation seminar only once, however I could receive a supplementary lesson and a home assignment by MOBIO and I appreciate MOBIO a lot”. Trying to catch up other participants, Nogami studied by himself. After measuring actual booth he has simulated product and booth layout. As a result at the SME show their booth display was appreciated by the visitors with the compliments. As expected, through the show he could collect a lot of business cards and received inquiries of sample and catalogue. And some of them are now on the business table. Because Daiichi has a broad product range, they need to consider ways to promote adequately by product category. Furthermore, other than core business sectors (DIYs and Home Improvement Centers) they are trying to open stationary stores and commodity stores for ladies. ”We will start up with marketing 123 seriously”, Nogami emphasized. “Since our business is to manufacture hydraulic cylinder parts to various type of metal part, we provide products with any industrial market. This must be our fruit cultivated for past 60 years.” says Mr. Tanaka, CEO of the company. 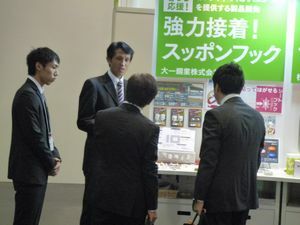 In the past he had participated the show for the purpose of employee’s training, and it was the first time for him to have a booth in order to capture new customers. But, his intention to have joined the seminar was different. 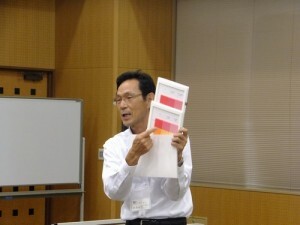 Actually at the time of catch -phrase seminar he faced difficulty. The tutor’s message was quite informative for him. If the phrase works by replacing the corporate name, it won’t be their strength. Therefore he came to notice their strength, PROCESS PROPOSAL, that was considered to be the corporate characteristics. “Reviewing 60 years corporate history, our company has been founded on care, consideration and officiousness to others. And at process proposing those factors are essential condition. I have come to notice that process proposal is our strength. Kinki does not only provide customers with quotation but also proposes suitable manufacturing process. When customers appreciate its proposal, they become a good customers. 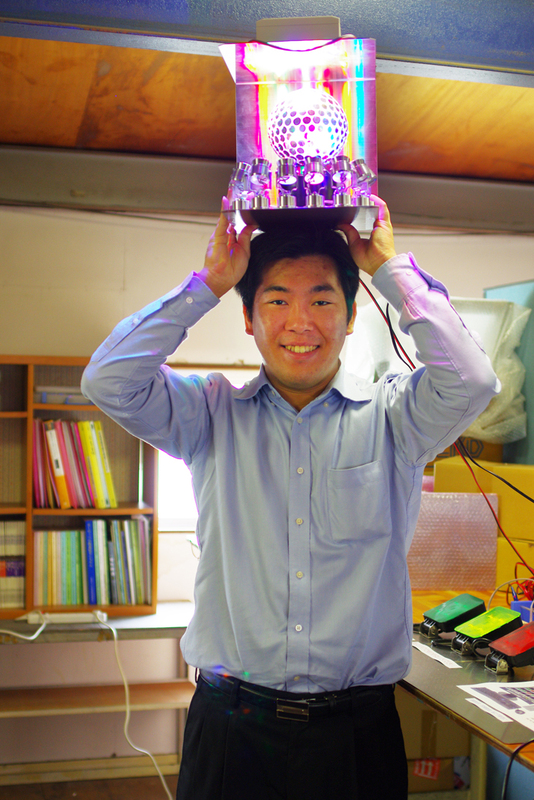 Tanaka became aware of Kinki’s value from the customer’s point of view. Catch phrase creation was not all of his findings through a seminar. He himself surprisingly learned skills of photo shooting. He has learned another practical display skills to place products on acrylics stand on the cloth covered stand. And he has expanded communication with other seminar participants or trade show participants. Wishing to creating a more attractive display! This seminar was very informative to Tanaka. He also views corporate future. Entries (RSS) and Comments (RSS).29 queries. 2.171 seconds.